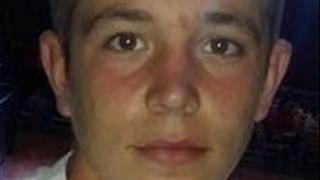 The 17-year-old boy who died in car crash in Rhymney has been named as Jordan Charles. The Peugeot 206 he was driving crashed into a parked car on Moriah Street in Rhymney at about 03:30 BST on Sunday. His family, who are being supported by specially trained officers, have said he was "an outgoing boy who had done a lot in his short life". A 15-year-old girl who was in the passenger seat was taken to Prince Charles Hospital but has been released. Gwent Police are appealing for witnesses to the incident.